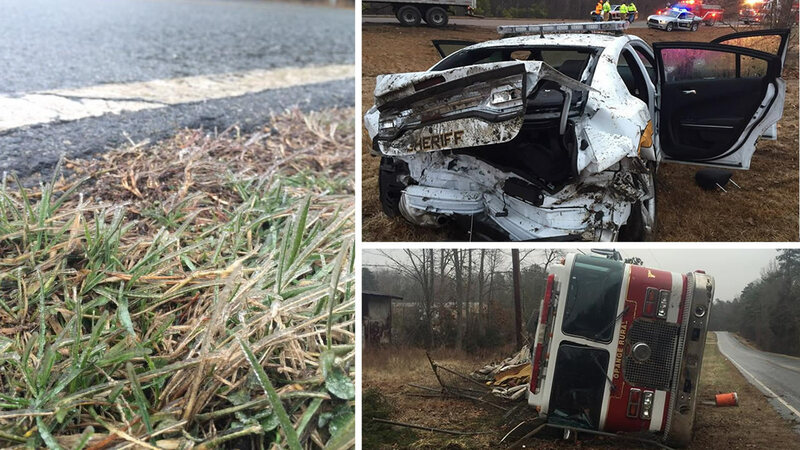 A layer of ice on roads led to dozens of accidents Wednesday. Some involved the emergency workers trying to help. 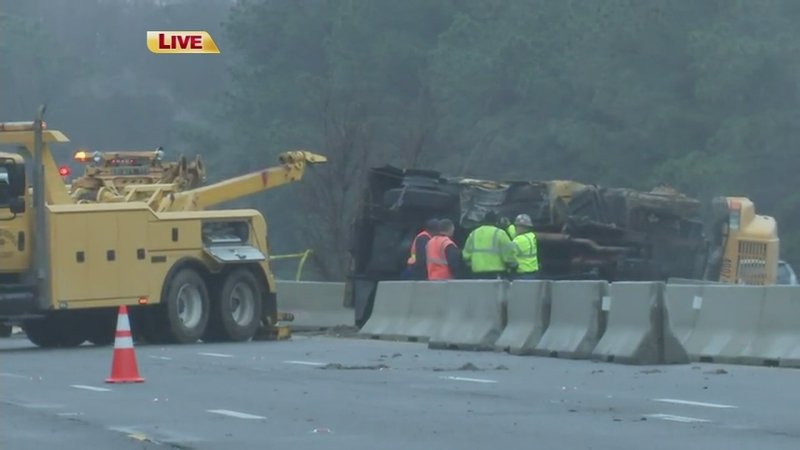 RALEIGH (WTVD) -- There were so many accidents reported Wednesday morning on icy roads across the Triangle and central North Carolina it quickly got hard to keep track. In Raleigh alone, the city had nearly 40 - compared to about a dozen on a typical day. 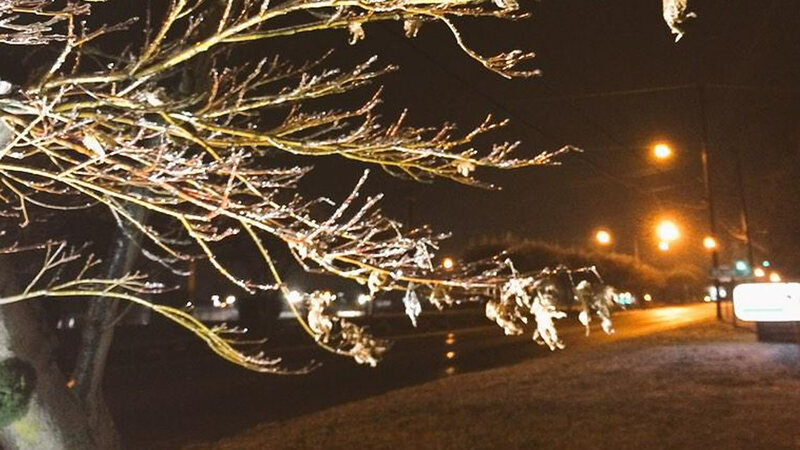 Freezing rain put a light glazing of ice mainly on bridges and elevated surfaces. Among the dozens of trouble spots reported were overpasses on I-540, Wade Avenue and some of the I-440 ramps, I-40, U.S. 70, Highway 64, I-795, and I-85. Click here for the latest First Alert weather forecast. 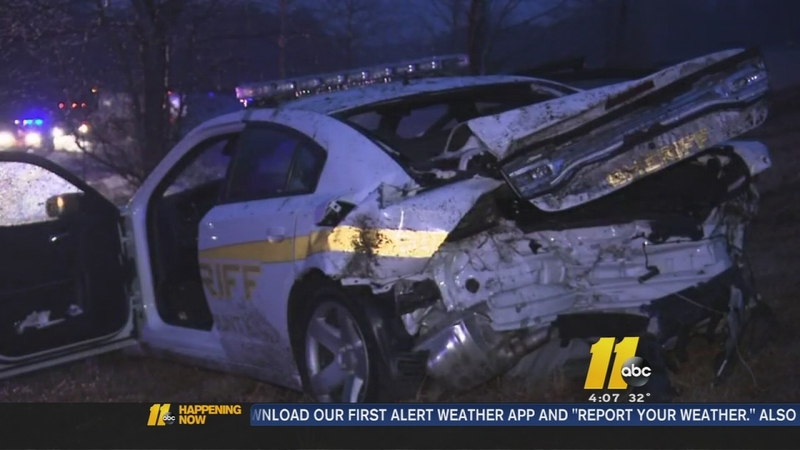 On U.S. Highway 64 in Nash County, a tractor-trailer truck hit the car of a deputy helping a motorist in the Nashville area. Three people were injured, including Deputy Matthew Joyner, were rushed to the hospital with non-life threatening injuries. Two drivers were charged in connection with the crash. 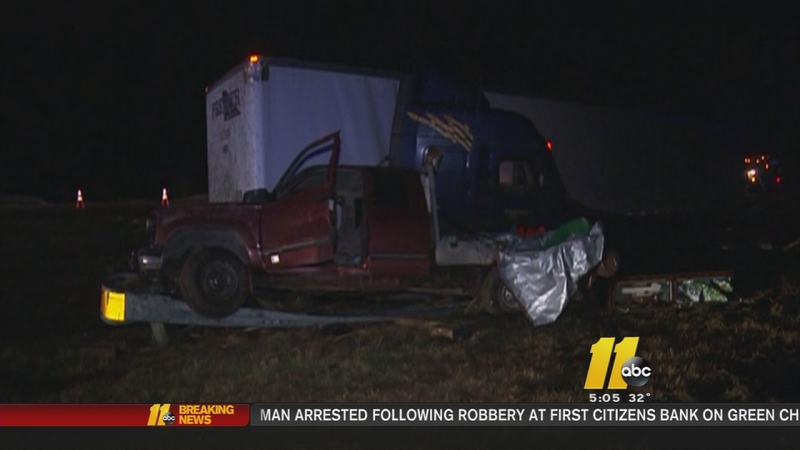 On I-540 at Creedmoor Road, a multi-vehicle accident left one person hurt. Pictures from the scene showed a vehicle ran into a North Carolina Highway Patrol officer's car, causing minor damage. A taxi ran off the road at Hebron Road at West Avenue in Durham and slammed into a tree. A black mustang was also involved in this wreck but there weren't any serious injuries. On Erwin Road, a car ran off the shoulder and down an embankment. It then crashed into a tree. The car suffered serious damage to the front end of the car. At least one person was injured. In Orange County, the ice was too much for a fire truck that was responding to an accident when it lost traction and flipped onto its side. In Chatham County, a pick-up truck lost control on U.S. Highway 64 over Jordan Lake. The driver ended up crashing into a guard rail on the median. He got out and called for help but ended up jumping back into his truck when he saw a tractor trailer swerving and coming right for him. No one was seriously injured in that collision. On I-40 West on the bridge over Gorman Street, a Wake County Public Schools refueling truck overturned -- leaking a small amount of fuel -- creating a hazardous materials situation. On I-40 West on the bridge over Gorman Street, a Wake County Public Schools refueling truck overturned - leaking a small amount of fuel - creating a hazardous materials situation. In Orange County, a fire truck responding to an accident flipped on its side on Phelps Road at Mason Keyon Road. All the firefighters got out without serious injuries.